What goes through your head when you pass someone sleeping rough outside your local tube station? Maybe you feel sympathetic. Perhaps you buy them a sandwich or chuck them a couple of quid before moving on with your day. Maybe you've even found yourself in a similar situation before. 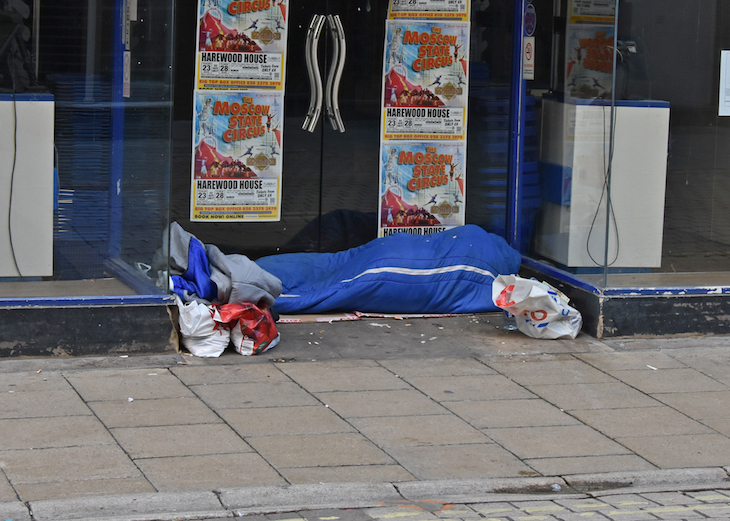 According to new research released by London charity Evolve to mark World Homeless Day (10 October), not everyone in the capital feels so charitable. Evolve's study found that 29% of Londoners think that people sleeping rough are to blame for their situation. 74% believe that rough sleepers could get themselves off the streets if they wanted to. However, people like Sheldon, a 20-year-old from Croydon, know that the reality is sadly not so simple. People make assumptions about homeless people – that somehow it’s a choice people make, a lifestyle they opt into, or that they’re all drug addicts or alcoholics. When I was living on the streets I did everything I could to make sure that people wouldn’t find out that I was sleeping rough. I would make sure that I was hiding, that no one saw me bedding down and that no one around me knew where I was. I was scared about what people would think about me, or how they’d judge me. But I felt really lonely, keeping it all to myself. Research out today shows that more than a quarter of people in the UK believe that people sleeping rough are to blame for their situation, and the majority think rough sleepers could get themselves off the street if they wanted to, but this shows just how little they know. The reasons people end up homeless are not only complex, but often stem from traumatic incidents that they’ve not received the right help to recover from. 80% of the homeless people using Evolve’s services have experienced a childhood trauma including physical, sexual or emotional abuse and more than a quarter (29%) say it was the primary cause of their homelessness. Despite this, just 0.3% of people surveyed by Evolve believed that childhood trauma such as violence or abuse was the primary reason people end up on the street. And as Sheldon's remarks suggest, the shame that arises from the social stigma of homelessness can perpetuate the problem — with vulnerable people feeling too ashamed to reach out for help. My dad was an alcoholic, and I don’t ever want to end up like that. As I got older, me and Dad starting arguing a lot and I couldn’t take it anymore so I moved out and started crashing on friend’s sofas. Sometimes they’d kick me out and I’d end up bedding down on the streets. I was just in this cycle of sofa surfing and rough sleeping, often sleeping in the local parks, and sometimes managing to find somewhere warmer like the stairwell in some flats. 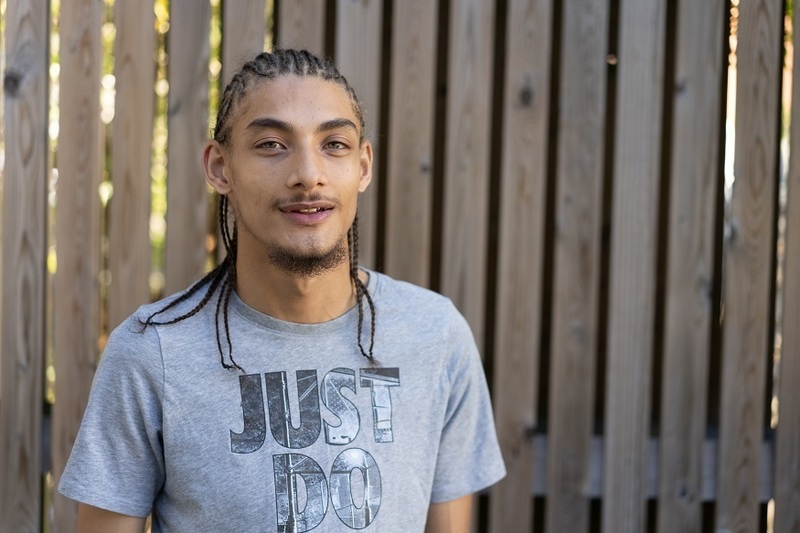 Eventually, someone referred me to homelessness charity Evolve Housing + Support and its only when I got help from them that I understood the impact of what happened to me as a child and started to move forward. Now I live at one of their supported housing projects with other young people like me. I’d like to ask everyone who sees people like me on the streets not to just walk on by but to put yourself in their shoes for a minute and think about the reasons why they’ve ended up where they have. And talk to them, say hello, see them as a person just like you. Then, maybe they won’t feel as ashamed as I did, and they might ask for help. I think if we can change public perceptions of rough sleepers, then this will help people to overcome their situation and to find a way out without shame. Evolve helps over 2,000 homeless people in London every year by providing housing, counselling and employment and skills training. The charity also works with schools to mentor at risk children, giving them coping strategies for dealing with trauma. It is hoped that this will help prevent homelessness later in life. Find out more about the charity and donate here.